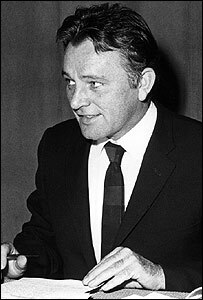 Legendary actor Richard Burton, who died in 1984, is to be resurrected in digital format for the stage version of Jeff Wayne's War of the Worlds. Burton, who was narrator on Wayne's original classic 70s album, will be seen as a 3D-image over the stage. The original album recording of Burton's voice will then be synchronised so he appears to speak. This is the first time the album has been made into a professional show and will play to near sold-out audiences. The show is being produced by Wayne and will embark on a 14-date tour on 13 April in Bournemouth, ending in Dublin on 30 April. Wayne's critically acclaimed 1978 album was his musical interpretation of the HG Wells' cult Martian invasion story War of the Worlds. Other stars involved in the album included singers David Essex, Phil Lynott and Justin Hayward. Hayward is to reprise his original role as the sung Thoughts of the Journalist for the show. His performance will include his hit songs Forever Autumn and The Eve Of The War. British tenor Russell Watson and Chris Thompson, lead singer with Manfred Mann's Earth Band, will also take part. Wayne's album was a global success, selling nearly 14 million copies and spending about 300 consecutive weeks in the UK album chart. The album won two Ivor Novello Awards and the USA's Best Recording in Science Fiction and Fantasy award, judged by Steven Spielberg, George Lucas and Alfred Hitchcock. Its 2005 re-release has sold another 500,000 copies to date, turning 10-times platinum in the UK. The album sleeve was also famous for its illustrations of the alien invasion and CGI film sequences will be included in the stage show to recreate those images. British author HG Wells' wrote his original book in 1898. It famously caused panic when dramatised for US radio, as listeners thought the story's news reports of invasion were true. 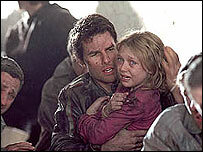 The story was turned into a movie in 1953, winning an Oscar for its special effects, and in 2005 it was revived by Steven Spielberg and starred Tom Cruise.